hello. my name is jessica and i am a 21 year old mother of a beautiful 7 month old baby girl named chloe lynn. i have been married to my hubby brandon for a year and a half and am just enjoying being a family together. 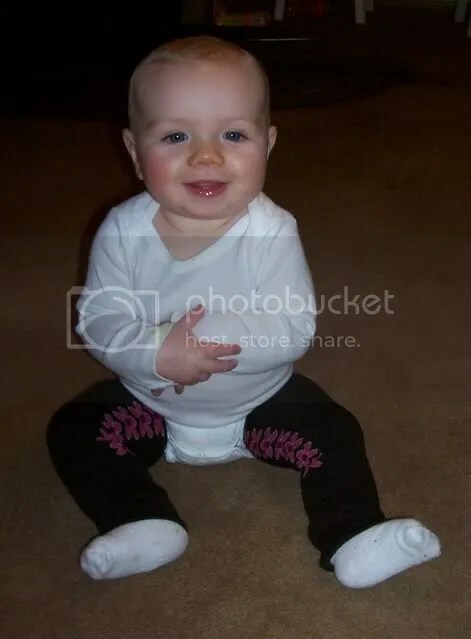 here is a picture of my baby girl in a pair of baby legs made by her aunt kymy. i am a craft-a-holic who works as a cashier at my local walmart. i hope to share my crafty work here as well as any cool fact and ideas.